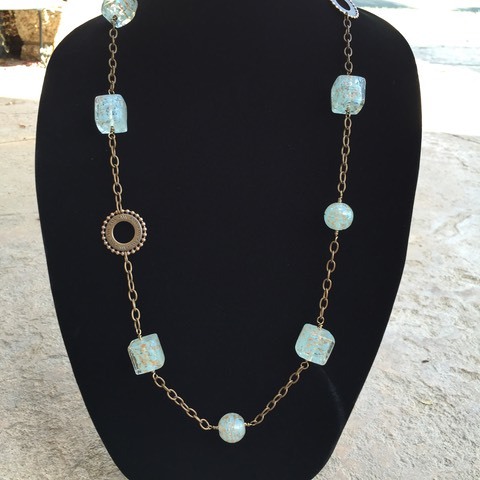 Chunky Glass on Chain long necklace. 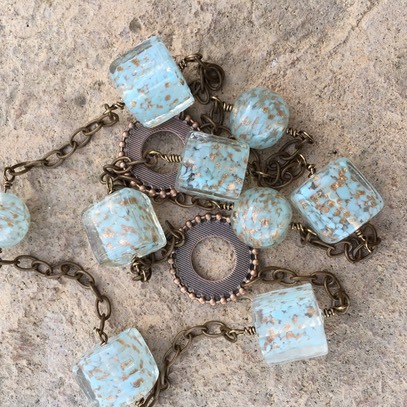 Glass Cubes/Rounds are a very light teal color with metallic specks. Complimented by a Brass chain. 36" long. No Clasp.